It is a simple fact that the more your child reads, the better they read. Encourage your child to read more with this bingo reading activity and you will be helping them to become more confident and more proficient readers. Some children need no encouragement to read, but others (mine included) do need some prodding now and again to 'remind' them to pick up a book and read. My children keep reading logs of books which they have read and this helps to incentivise them to read more. 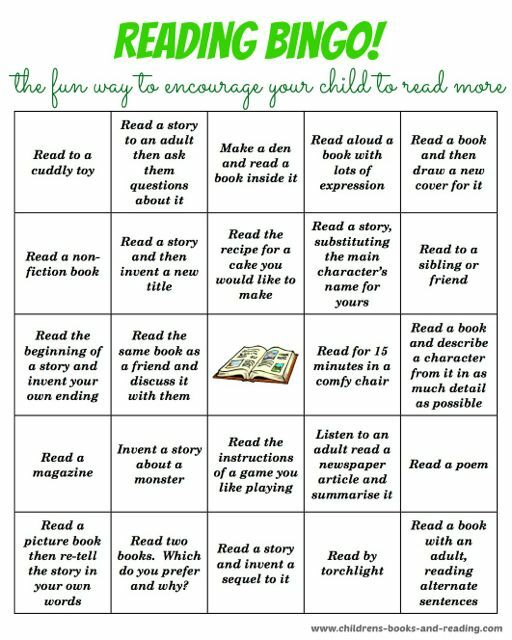 However, I am always keen to try new ways to keep them reading and this activity is a fun and gentle way to encourage your child to read more. In this bingo reading game your child chooses which of the suggested reading activities they want to do. Once they have completed it, they can colour in the square. When they have coloured in five squares in a row they have a Bingo! You can stop there, or encourage your child to continue with the other activities until all the squares are coloured in. How quickly can your child get five-in-a-row? Can they complete all 24 activities? Download a copy of the Bingo reading activity chart here. 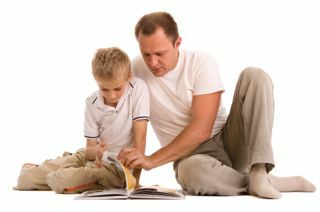 You can adapt the activities according to the reading level of your child. Early readers can read short, simple books or listen to adults reading. More confident readers can read pictures books, or chapters of longer books. As well as encouraging your child to read more, these activities will also help to practice key reading comprehension skills such as questioning, visualisation and summarising. It is important for your child to develop these skills so that they understand more fully what they are reading. I hope this helps to keep your child reading!